First there was CRT then came technologies like rate view, plasma and then came LCD and finally the so called LED TV. What we call LED is not LED it’s an LCD with LED backlist, yes surely it is better than just LCD TV, saves more power, better contrast and dynamic rate. We have been using LED displays on our phones for a while now, called AMOLED type of LED display, from Asus, nokia, htc, Samsung. Till now the available OLED technology was limited by its size and didn’t see much of a consumer grade large display on this category. 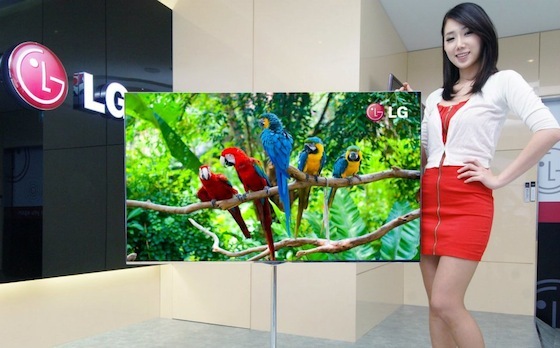 The first OLED TV is coming out from LG, it’s a 55 inch shall cost you 8000$. This is coming out on the second half of 2012. Samsung and TV manufacturers are also are also showcasing OLED TV and coming out with a similar launch time joining LG. As a consumer product the price will eventually come down and replace every other TV in the world (hopefully). I was always resistant towards moving from CRT to LCD due to quality and color. OLED in mass production shall probably finally be a technology which will stop us from worrying about quality of display like we still have to do while buying LCD. OLED is thin (4mm), light (7.5-kg) and lots less power hungry even flexible, just perfect for future and probably will be there for a long time to come, if not as long as the life span of CRT display. I just can’t wait to see one of these TV. Next Post Sun set again!